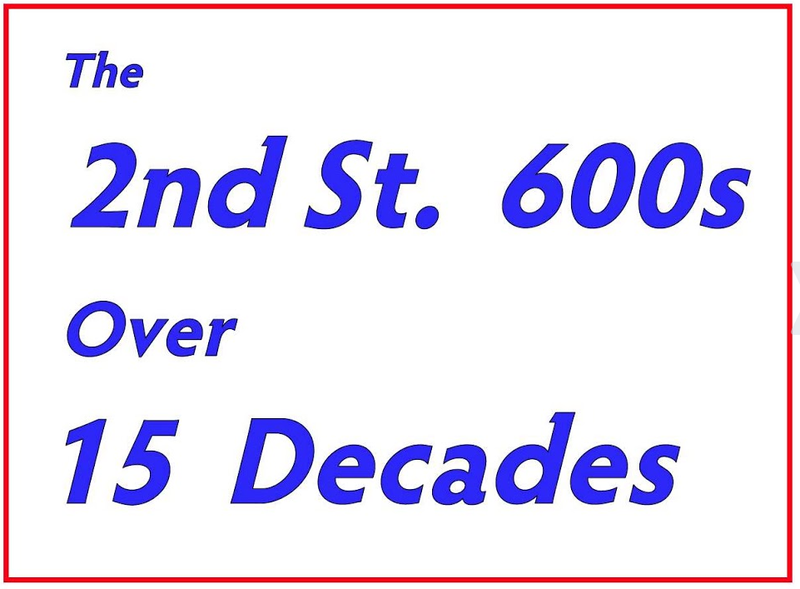 In January, 2001, I became the owner of 79 bound volumes of the Davis Enterprise covering the years 1966-83. Viewed as a single object -- a collection -- it is some 20 inches tall, consumes more than 20 feet of shelf space and weighs upwards of a thousand pounds. Stacked on their sides in piles, the volumes are several feet tall and fill the bed of a small pickup truck. 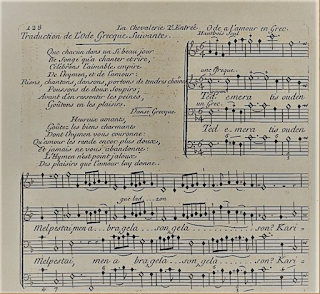 A sense of the collection’s scale and heft can be inferred from the accompanying three snapshots. 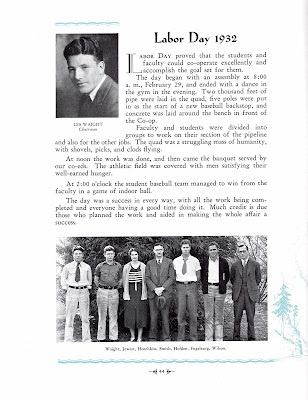 For many years, the collection has been installed on shelves in a storage building at my home and it was an invaluable resource in my Davis history research. But, time has passed and I no longer use it or have any plans to do so. 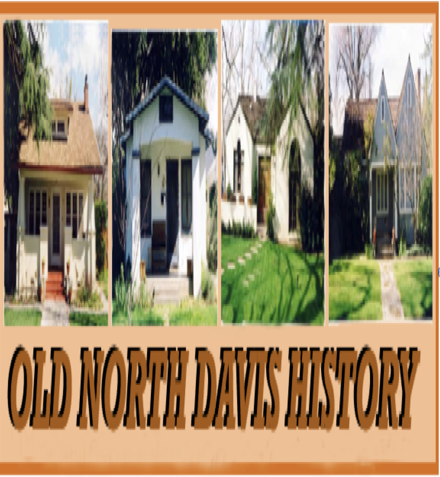 Davis Enterprise editor Debbie Davis gave me the collection and I am now offering it gratis to someone willing to receive and to care for it. If you are interested, email me at jlofland@dcn.org. 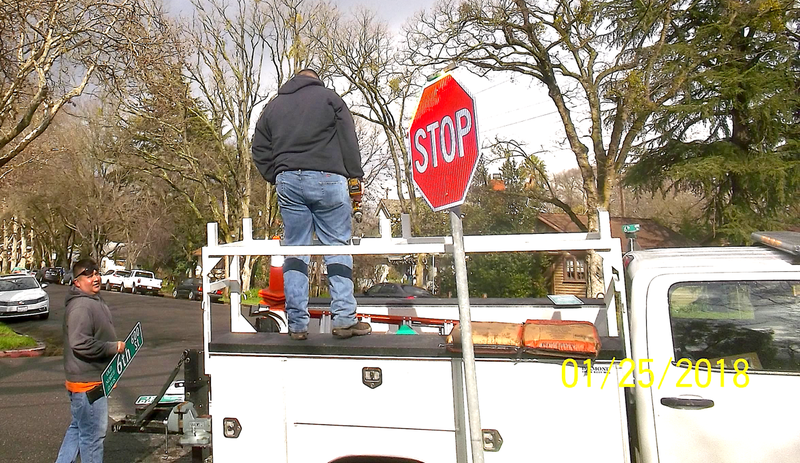 Thursday, January 25th, a City of Davis Public Works crew installed the “new style” Old North Davis street signs. 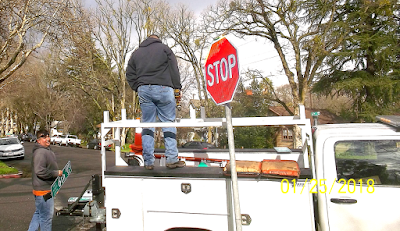 I happened to notice the crew working at the corner of 6th and E streets and made the snapshots that follow. One the months and even years there were dozens and perhaps hundreds of public statements for and against building Trackside Center. 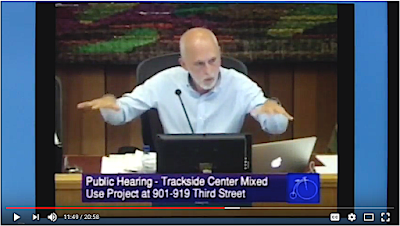 Many were well articulated, but, to me, the most compelling was offered by Mayor Robb Davis the evening of November 14, 2017, just before the City Council voted 4 to 1 to build Trackside. His statement was -- and is -- distinctive in being based on a serious and careful reading of the basic vision-and-goals documents that provide the legal and moral context for the Trackside decision. The more important of these include, of course, the Core Area Specific Plan and the Davis Downtown and Traditional Residential Neighborhood Design Guidelines. I think his 21-minutes analysis is fundamentally correct and deserves the careful attention of all reflective Davis residents, not just because it is about Trackside, but because it is about the future of Davis itself. 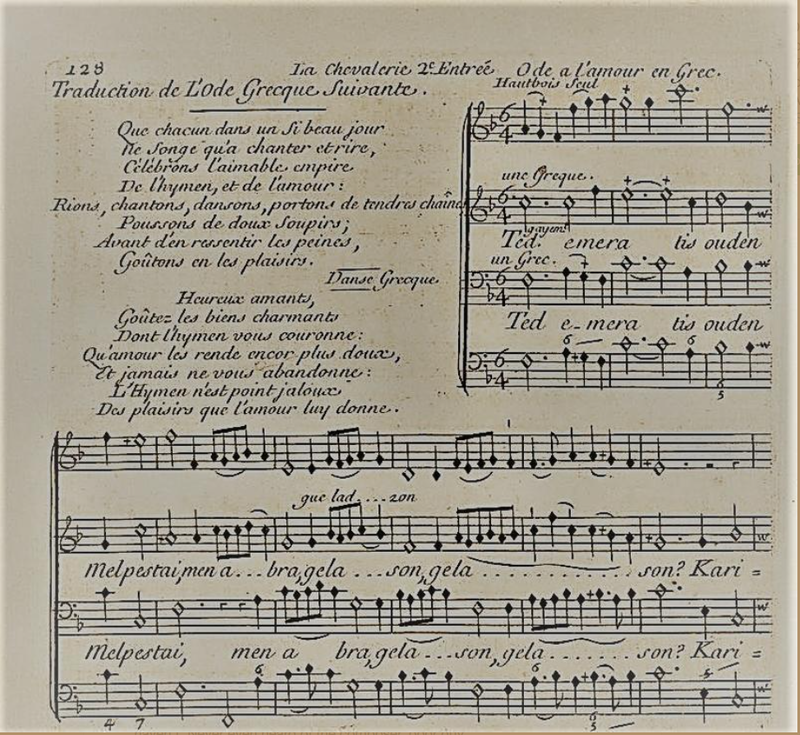 Recently, Davis resident and musicologist Beverly Wilcox was writing an article on an 18th-century French opera that contained a passage, seemingly in Greek, that she wanted translated (images 1 and 2). 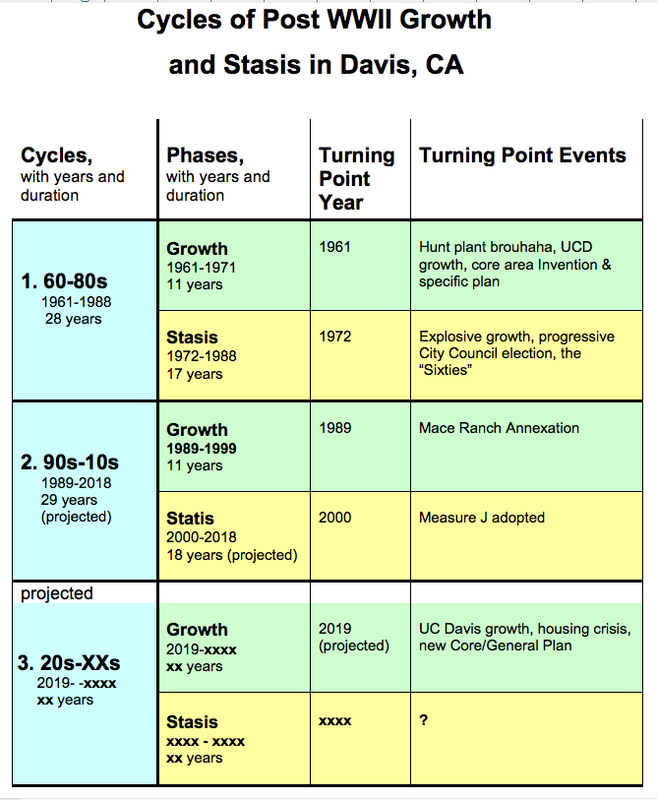 I was looking over a summary of growth, growth control, and development events in the last some 70 years in Davis and the idea came to mind that the series of them formed two long-term, two-stage cycles. Twice since WWII and today, a phase of “growth” as a dominant mindset and policy was followed by a phase of “stasis.” Eerily, the first or growth phase of each cycle is about 11 years long and the second or stasis phase is (or might be) just less than 30 years long. A key feature of this cycle conception is that Davis might now be nearing the end of the second one. If It has the same “shape” in years as the first cycle, we should expect a third “great turning” in matters of growth and stasis within the next two years or so. 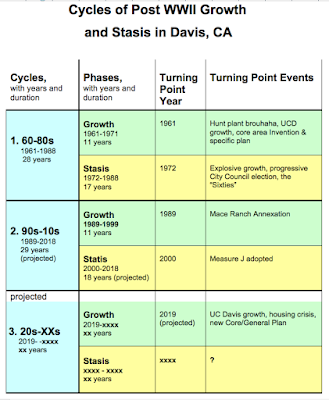 All of this is shown in overview in the accompanying chart titled “Cycles of Post WWII Growth and Stasis in Davis, CA.” Let me elaborate on what is shown there. 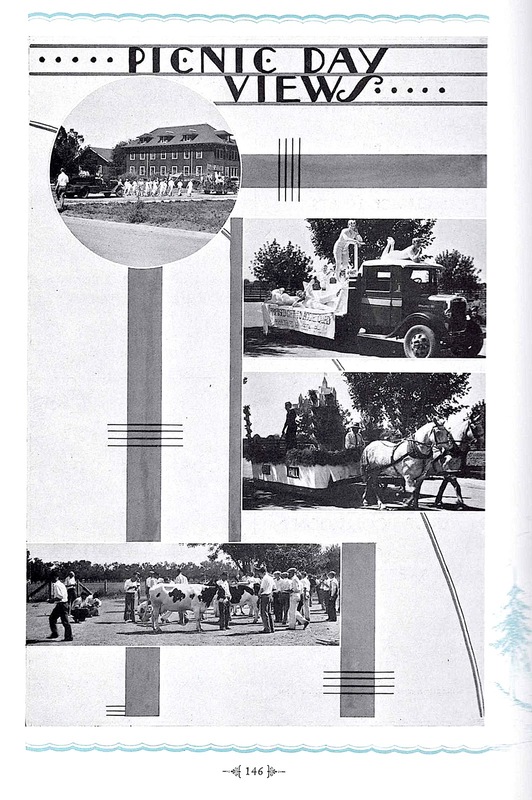 As reported in the previous DHT post -- number 272 -- Arnold Rosenwald made 12 photos of Davis campus events in 1932, nine featuring Picnic Day and three of Labor Day. A curious and interesting aspect is that, starting in 1897, the same name was used at the University of California (then meaning Berkeley) to label a campus-wide day of voluntary labor devoted to campus improvement projects (Ann Scheuring, Abundant Harvest, p. 35). Given what we know about the intensity of public sentiments for and against labor unions, it is not a stretch to guess that Berkeley’s Labor Day was a sideways negative comment on the larger and “real” Labor Day. In post 266 on this blog, I reported on Dr. Arnold Rosenwald’s amazing home movies of ‘60s UCD Picnic Day parades and related public events. That report is at the URL immediately below and the movies themselves are at the URL below it. Dr. Rosenwald was a poultry disease researcher and extension practitioner at UCD for some seven decades, dying at age 98 in 2008. 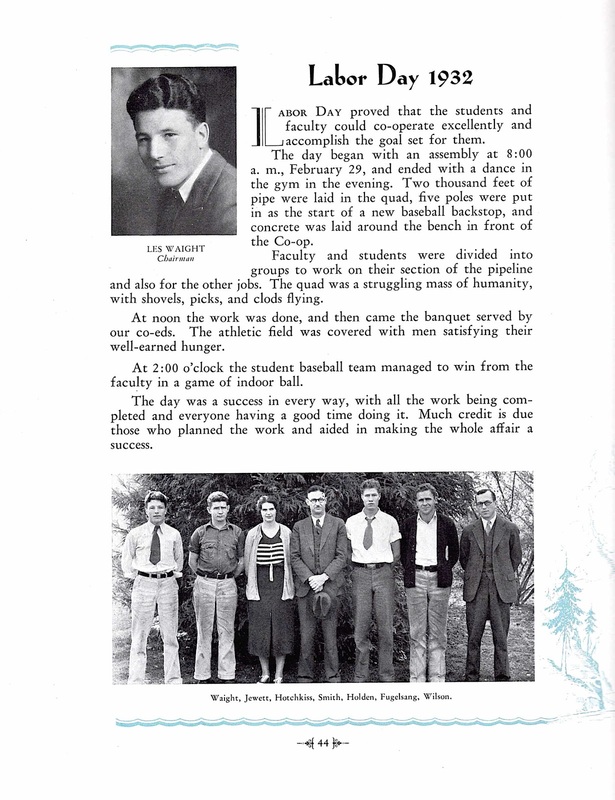 He was also an undergraduate at the “Branch College,” graduating in 1930 (and subsequently earned a DVM degree, an MA in bacteriology, and a PhD in veterinary science). The envelope also had negatives of 11 of the 12 snapshots and I have used them to make fresh images for this and the following post.